There were eighty-eight of these locomotives produced. 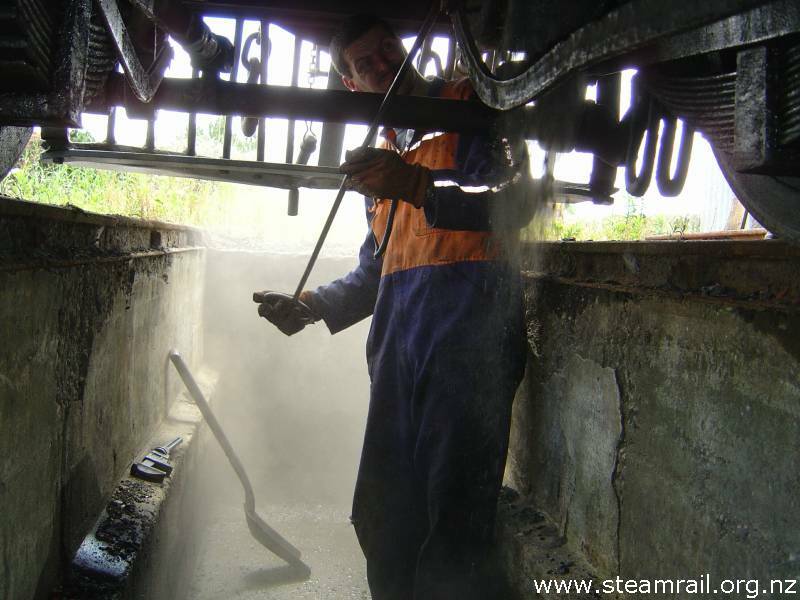 They were used for mainline running in their heyday and some members of this class had the longest running careers of all steam locomotives in New Zealand. 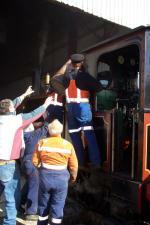 Some were still in active service in the 1960’s as shunting locomotives with Harbour Boards and freezing works etc. This class of locomotive is restricted to about 50km/h because of the small size of its driving wheels which effectively ‘gears’ it down. F163 is one of nine surviving members of its class and the only one in mainline running condition. 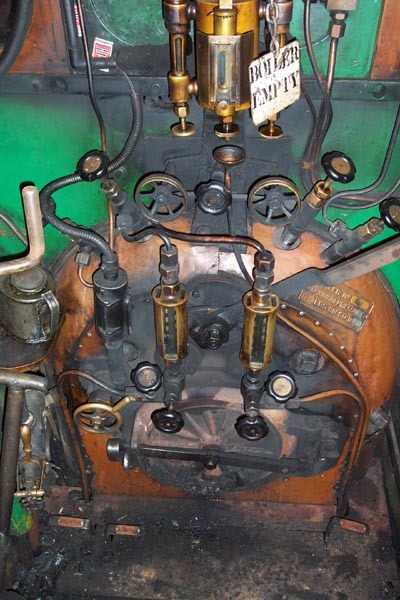 This particular engine has been operational, except during overhauls etc, since it was first used on the NZR in 1881. 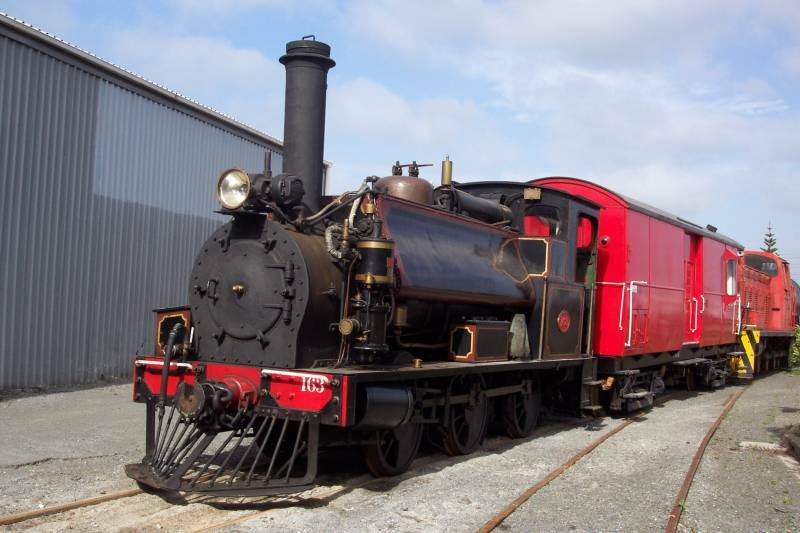 This locomotive was kept by NZR as part of its heritage fleet until 1993, when it was handed to the Rail Heritage Trust. 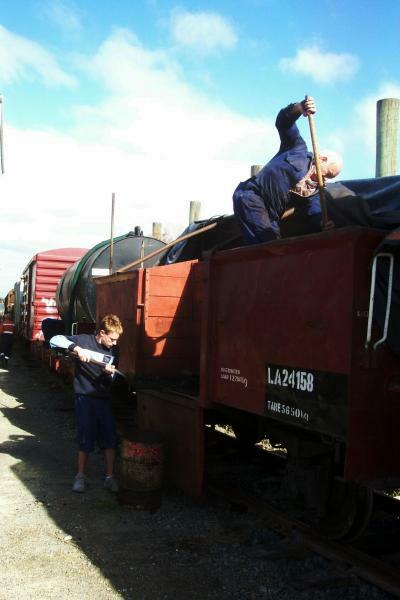 In 2002, the F-group joined with Feilding Steam Rail to become the Feilding and Districts Steam Rail Society, and F163 was relocated to the Feilding depot. F&DSRS are the current caretakers of F163. 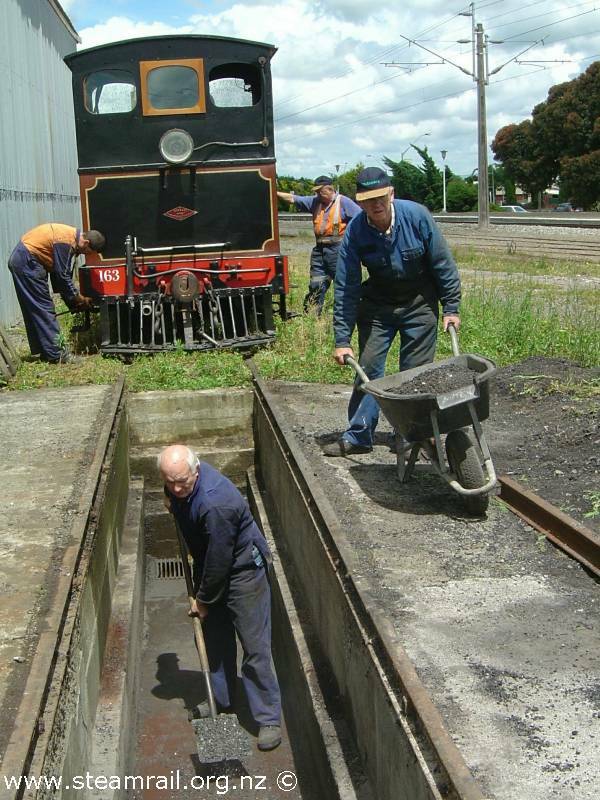 The members of the F group who have restored and operated the F for many years and are now members of Feilding and Districts Steam Rail. 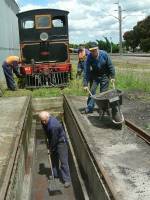 On Sunday, 24th March 2002, the members of the F group brought their rolling stock and the F over to Feilding. 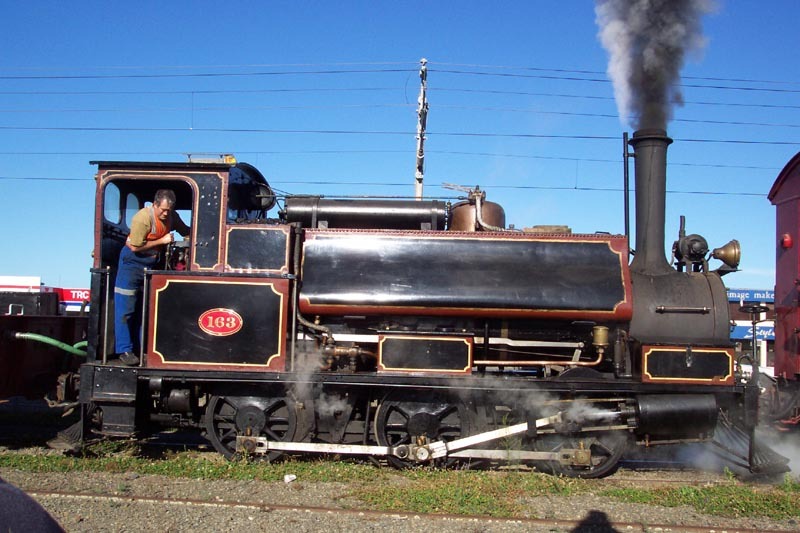 F 163's old home in Palmerston North rail depot is now under new ownership and thus it was decided that the F group would come together with Feilding Steam Rail. 24 March 2002. F 163's and its guards van. 12 May 2002. 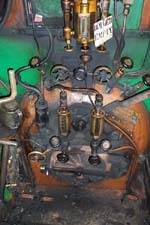 A view of the Cab showing the controls up top. 31 March 2002. 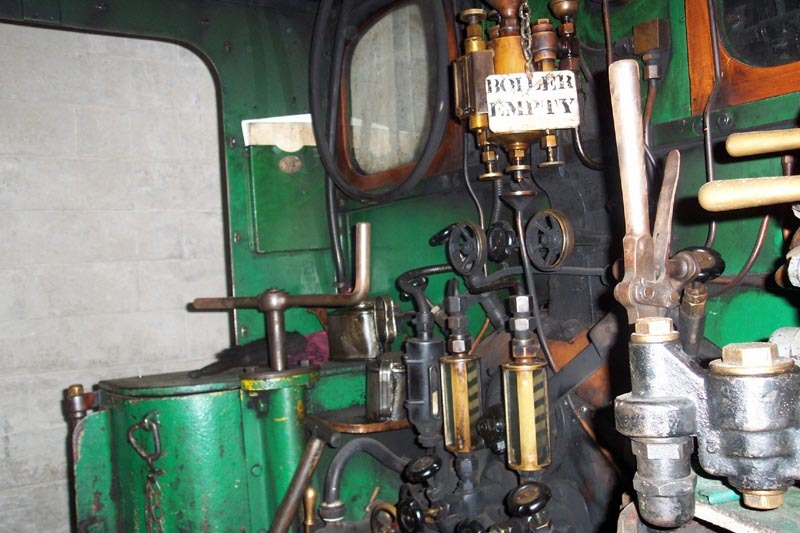 A view of the Cab looking down toward fire box. 31 March 2002. Mike Higgie cleaning the ash pan of F 163. 24 January 2004. Once the ash is out of the ash pan it is then shovelled out of the pit into a wheelbarrow. 24 January 2004. Coal is shoveled out of the LA into Steel Bins and taken to F163. April 2003. Loading the Coal Bunkers on F163 by hand. April 2003. To see what restoration and maintence has been completed since F163 came to FDSRS, have a look at the F163 restoration page.